“Horseman extraordinaire” – a lifetime dedicated to Equestrian and horse training. Perhaps the best-known Māori figure in horse racing and equestrian formerly of Ōtaki, and now of Woodville. Eric has been the owner and owner-trainer of many of the country’s top gallopers and tutor of many top jockeys. Eric is also renowned both nationally and internationally in the equestrian field as a trainer, breeder and tutor of elite equestrian riders. 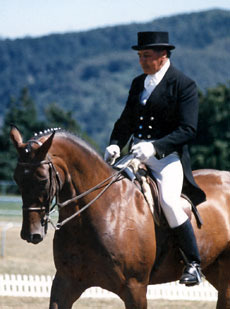 Eric was awarded the ONZM for his services to the equine industry.